With the return of the Ford Ranger and Jeep Gladiator to U.S. dealerships this year, the midsize pickup segment will be a battlefield in 2019. Thankfully for Toyota — which didn't flee the segment when the going got tough a decade ago, unlike its domestic rivals — the Tacoma commands this battlefield's high ground. 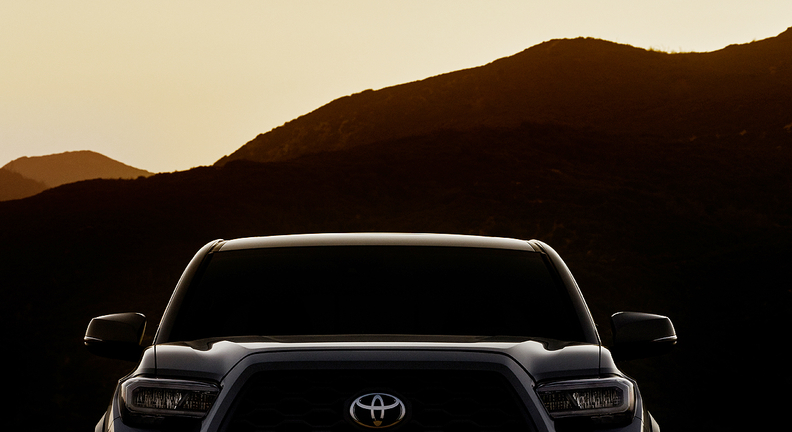 A refreshed 2020 Toyota Tacoma makes its debut at Feb. 7, 11 a.m. Eastern time, at the Chicago auto show. (You can watch the livestream here.) A new exterior look and interior updates are expected to augment the redesign done four years ago for the 2016 model year. But the big news for the "Taco" this coming year isn't just how it looks, but just how many of them there might be. With production constrained most of the year, Toyota still sold 245,659 Tacomas in 2018, up 24 percent over 2017. In doing so, the midsize Tacoma grabbed 8.3 percent of the overall pickup market in the U.S., placing it fourth among all pickups behind the full-size Ford F series, Chevrolet Silverado and Ram. But the raw sales numbers really only give the Tacoma's accomplishments in the segment a rough justice. Yes, it outsold the full-size GMC Sierra, but it also outsold — by a stretch — the Chevrolet Colorado and GMC Canyon combined. And if that all weren't evidence enough of Tacoma's dominant position in the battle to come, a survey done late last year by Autolist.com found that the Tacoma had a staggering 86 percent name recognition among 1,460 current vehicle shoppers — the best among any midsize pickup. To a person, Toyota Motor North America's top executives say they welcome the return of Ford and FCA to the midsize pickup segment, where their added advertising dollars are sure to stoke interest in the segment as a whole. "Whenever new competitors come in, you always want to be the best," Toyota Division General Manager Jack Hollis told Automotive News last month. Any new competitor "makes us want to be better and keep looking for ways to improve. That's part of the Toyota DNA." Hollis is right. From his perch in the segment, he can afford to invite in as many Tacoma competitors as want to come. Because he now sits with almost limitless reserves — and a very commanding view.